So, how was 2013 for you? The Riot Squad have had a brilliant year bringing you the best in contemporary music wherever we find it. Allan, John, Klare and Louie have reviewed some exceptional live and recorded music throughout the year and we all thank you for reading our reviews and looking at our photos. We couldn’t resist this opportunity to remind you of some of the artists we reviewed for the first time in 2013. We saw live performances by the Emile Gerber Band (which became Stoneface Travellers), Henrik Freischlader, Josephine, Marcus Bonfanti (solo and with his band), The Kennedys, Federal Charm (twice), Black Casino & The Ghost, Coco and the Butterfields (several times), The Dirt Tracks, Carrie Rodriguez, Aynsley Lister, Civil Protection, Wheatus, Dean Owens and Zoe Schwarz Blue Commotion. Quite a selection, really. We reviewed albums and singles by Henrik Freischlader, Marcus Bonfanti, Sally Shapiro, Tomorrow’s World, Black Casino & The Ghost, Jimmy Livingstone, Austra, Tess of the Circle, Aynsley Lister, The Nyco Project, The Dirt Tracks, Nadine Shah, Sullivn, Radio (in my) Head, Tal National, Layla Zoe, Kinver, Au Revoir Simone, DENA, Hartebeest, Polly Scattergood, Glasser, Annie, Emika and John Grant and probably a few others as well. Along the way we had some great fun and met some lovely people; you all know who you are, and we’re hoping to meet most of you again this year. Looking forward to 2014, we’re hoping for more of the same. The review copies are already coming in and it’s starting to look pretty good already. Over the next few weeks, we’ll be sharing some of our predictions for 2014 from the Riot Squad and possibly from a few guest contributors as well. And, while we’re on the subject of guest contributions, many thanks to Aynsley Lister, Steve Jenner, Marcus Bonfanti and Billie Ray Martin for their contributions to our High Fives feature last year. Oh, is it my turn for the albums? Ok, these five stood out way above the rest and they’re a pretty mixed bunch but I think that’s what Music Riot is all about. Have a listen to these if you can because there’s a lot of really good music here. When you’ve listened to a lot of blues and blues/rock (and believe me I have over the years), you understand how easy it is for even very good players and writers to slip into the blues clichés, lyrically and musically. 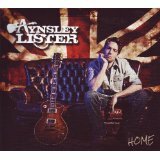 Some writers understand that not every song has to be a twelve-bar blues with lyrics about bad booze and wanton women, and Aynsley Lister is one of those writers. His songs on “Home” are recognisably blues/rock but with a recognition that the genre has to move on lyrically and musically. On “Home”, there are songs about the state of the music business today, an elegy to an old friend, a couple of brilliant covers and a tribute to Gene Hunt. What more do you want? This is one of those albums that grabs you from the first listen and doesn’t let go. 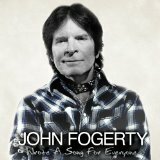 Ok, I’m going to admit to a slight bias here; I’ve been a fan of John Fogerty for much longer than I care to admit to. The first time I strapped on a guitar and played (badly) in front of an audience, the song the band played was the Creedence Clearwater Revival single, “Up Around the Bend”. I’m pleased to say that John Fogerty’s career as a performer has been much longer and more successful than mine. There are a couple of ways of looking at this album; you can see it as a cynical rehash of old material for a few quick bucks or you can see it as an opportunity to work with kindred spirits to put a twenty-first century polish on some classic twentieth century songs. You can probably guess which way I’m leaning on this one. If you only listen to one song on this album, listen to “Hot Rod Heart”; John Fogerty is joined by guitarist Brad Paisley and the final minute and a half of the song is the joyous and totally self-indulgent sound of two superb players having a great time trading guitar licks. If this doesn’t make you smile, you don’t like music. And that’s before we get on to the reworkings of the classic Creedence songs “Lodi”, “Long as I can see the Light”, “Who’ll Stop the Rain” and the less well-known “Wrote a Song for Everyone”. Oh, nearly forgot, “Proud Mary”. Superb from start to finish. If you’re really into music, it doesn’t matter how much you’ve heard, you still love it when you hear something original and fresh (and I’ll be completely honest and say something that no-one else has written about yet). 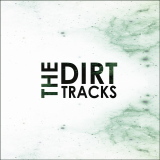 My epiphany this year was an invitation to see Spanish indie band The Dirt Tracks in central London. The audience was four people, and that included me and the band’s manager. It didn’t bother the band because they pulled out a storming set. I was given a copy of the band’s debut album and I promised to review it. When I listened to it, I was hooked. It’s heavily influenced by British indie, but there are elements of late ‘60s psychedelia in there as well as samples and a huge guitar attack. As if that wasn’t enough, the album includes the experimental single “Kaleidoscope” which combines two similar stand-alone songs across the stereo spectrum to create a third song. It’s quite a disorientating effect designed to demonstrate the difference between left- and right-brain processing and it’s even more impressive when you know that it’s written (like the rest of the album) in writer Santiago Coma’s second language. Very impressive debut album. This one deserves a special mention for overcoming logistical difficulties; there are artists from 14 different countries on this collection of reworkings of Radiohead songs. There’s absolutely no filler on this album and there are a few absolute corkers. 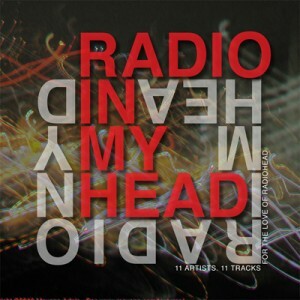 Some of the versions stay reasonably close to the Radiohead template, while The Stoneface Travellers and Yoya put their own stamp on “My Iron Lung” and “Wolf at the Door” respectively. The project was initiated by John O’Sullivan, MD of Bandhouse Records and pulled in contributions from his contemporaries at the London College of Contemporary Music (including Amy Hannam and Beth Mills, who you may have seen on X Factor)and and a few others picked up on the journey. Anyway, it’s a bostin’ album and you should all give it a listen. Our contributors at MusicRiot all have their own musical preferences and areas of expertise, but we’re all passionate about music and our paths tend to intersect fairly often; this is one of those cases. John Preston raved about this album several months before 6 Music latched on to John Grant and he was absolutely right; this is a great album. 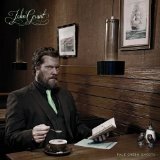 John Grant took a lot of flak over moving from acoustic instruments to electronic on this album (a nod to Dylan’s “Judas” moment there), but it’s still a classic singer-songwriter album. There are moments of humour, sneering, viciousness and painful emotional honesty on subjects as difficult as an HIV diagnosis. When it’s funny, it’s very funny, when it’s vicious, it’s very vicious and when it’s about honesty, it will make you cry. Even the remixes are worth a listen. If you want to learn a bit more about these albums, you can search for the reviews on the site. Or you could give them a listen. 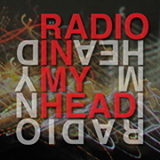 I first heard about the Radio (in my) Head project over a year ago when I met up with a couple of the people involved in putting the album together. It’s fair to say that it’s been a fairly long flash-to-bang time, but the end result certainly is a cracker (sorry). We’ve been publishing fairly regular updates on the album’s progress and reviews of the singles released so far (as well as a few unrelated singles from the artists involved), so the final release could have been an anti-climax; it isn’t, because this is a very, very good album. Normally, I’d give you a bit of background on the artists, but there are eleven of them, so you can find all you need to know here. I try to avoid track-by-track reviews as well, but there really isn’t any choice here, so I’ll start at the beginning, leaving out the songs we’ve already reviewed as singles. The opening track, “The National Anthem” by STRNGRS, which eases the listener into the album doesn’t depart radically from the “Kid A” original but replaces the funk groove with a rockier, heavier feel, a bass sound that wouldn’t be out of place on a Kasabian track and a vocal with more than a nod in the direction of Brian Molko. You just know that Black Casino and the Ghost will put their own very individual stamp on “Packt like Sardines in Crushed Tin Box” with an incredibly heavy bassline and Elisa Zoot’s breathy but powerful vocals driving the song along; it doesn’t disappoint. Stoneface Travellers are the first band to really make a song their own with a version of “My Iron Lung” that replaces the original’s “Dear Prudence/ Lucy in the Sky…” guitar sounds with straight ahead blues riffing. Where the original breaks down into a noisy middle section, this becomes quieter ahead of an extended solo from Emile Gerber. It’s the first radically different version on the album. Yoya’s take on “Wolf at the Door” replaces the mainly acoustic instrumentation of the original with samples played backwards and forwards, loads of electronic sounds and a vocal which goes from pure to fractured in the space of one line; it took Marianne Faithfull twenty-five years to do that. There are good, and very good vocal performances on the first half of the album, but the first truly outstanding vocal is on Amy Hannam’s version of “Street Spirit (Fade Out)”. The song builds gradually from a chiming guitar intro with the piano providing the bass and a very close-miked vocal which demonstrates the quality and power of Amy’s voice, particularly when joined by the perfect harmonies in the chorus. It has a very 70s prog feel at times; there’s a passage where the vocal is reminiscent of Pink Floyd’s “Great Gig in the Sky” and the piano is straight out of “Tubular Bells”. And, yes, it does fade out. Skeye’s version of “Karma Police” again has a retro feel using traditional rock band instrumentation and adding organ to the mix in traditional 70s style. The vocal is pure and clear until pushed hard when it becomes more raw and rocky and it’s another song stamped with the style of the performer. Malin Andersson’s version of “Exit Music (For a Film)” has electric and acoustic guitars providing the backing for Malin’s breathy vocal (close-miked again) before adding a violin, in contrast to the original’s drums and synths in the final third of the song ; it’s another excellent version. Alexey Zelensky tackles the only non-album track of the project, “Staircase”, which was released on “The Daily Mail” single. Many of the elements of the arrangement are similar to the original, including the UK garage/drum ‘n’ bass drum patterns and chiming guitars but Alexey adds some powerful multi-tracked lead and backing vocals and guitar. And I think you can guess what’s coming at the end of the album. The closer is Bethan Mills’ version of “Creep” and it’s a classic. I must admit to hearing a demo version of this a few months ago and it’s been really difficult to keep this one secret; it’s a powerful and original take on the song that Thom Yorke seems to hate so much now. The song opens with understated piano before Bethan’s (close-miked again), intimate vocal comes in. Drums and bass kick in after the first chorus, but the vocal still punches through the arrangement. There’s a breakdown back to the opening arrangement on the “Whatever makes you happy…” verse before an epic finish featuring a big guitar solo with squalls of controlled feedback drop out to leave a plaintive vocal to end the song. I’m a huge fan of the Chrissie Hynde unplugged version of “Creep”, but I think this version just shades it in a straight fight. So, it could have easily been a bunch of tired retreads of Radiohead songs but it’s much, much more than that. Project curator John O’Sullivan has pulled together a bunch of people from all over the world to put their own stamp on their favourite Radiohead songs. Listening to the album for the first time, you have no idea of what’s coming next and the surprises are all pleasant. There aren’t any average tracks here; they’re all well thought-out and very well performed. My personal highlights are Amy Hannam’s version of “Street Spirit” and Bethan Mills’ version of “Creep”, but I’ll happily listen to any song on this album. The good news is that from October 29, you can hear the album in all its glory by downloading it on iTunes here. What are the odds on Portis(in my)Head next?